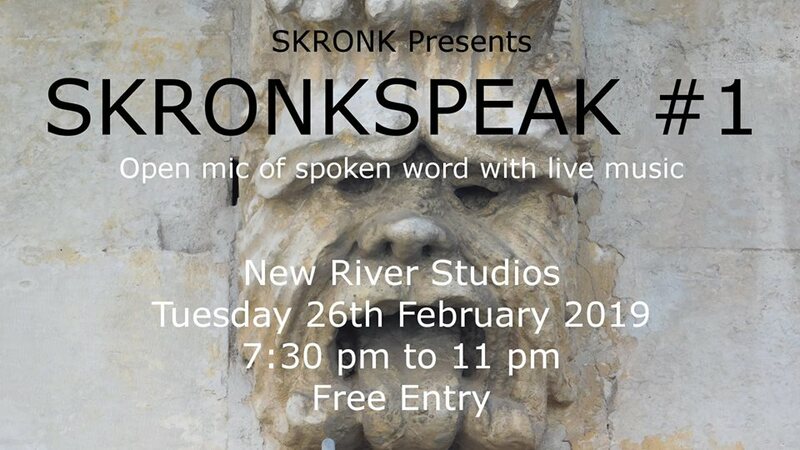 The very first SKRONKSPEAK, come and be a part of the inaugural event. SKRONKSPEAK is a spoken word/poetry night but not like any others, we will favour experimentation and improvisation, add a performance element to your reading. We’l welcome cut ups, readings of new or classic experimental literature, poetry, just about anything… We will have feature performers at each event like regular SKRONK nights but the difference is all open mic performers will perform with a musician or musicians, or maybe a dancer, or puppetry. The musicians will be carefully selected to understand the way to perform over a reading. Get it in your calendars now. If this is a success we’ll make it a monthly event.